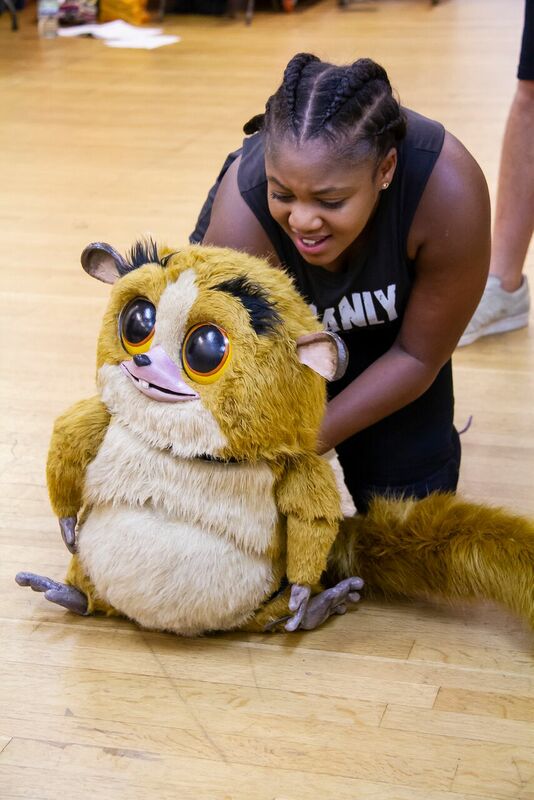 Oh My Musicals: Madagascar the Musical - A 'Must See' This Summer! Madagascar the Musical - A 'Must See' This Summer! 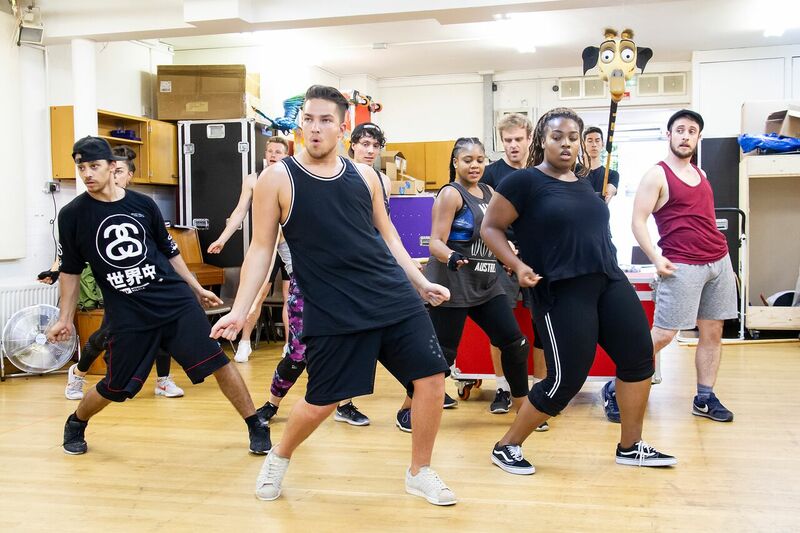 Last week I was lucky enough to be invited down to 3 Mills Studios in East London to see a sneaky preview of some songs from Selladoor's latest production, Madagascar the Musical, and watch a Q&A with some of the cast and creatives. The first song they performed was called "Showtime" and is the opening number of the show. While it isn't exactly Sondheim, the music is catchy and fun and certainly had all the press bopping in their seats! In terms of set, there were several flight cases dotted around the stage which the penguins (and some other animals) stood on and hid behind - I'd imagine they might eventually be icebergs! There was also a big rotating zoo wall in the middle which was very effective in showing the different sections of the zoo. My favourite part, however, has to be the choreography. Fabian Aloise has done an incredible job from what I saw, and the cast carried it off wonderfully. There was then a chat with some of the cast and creatives, in which they talked about their favourite numbers from the show (Move It! seemed to be very popular! 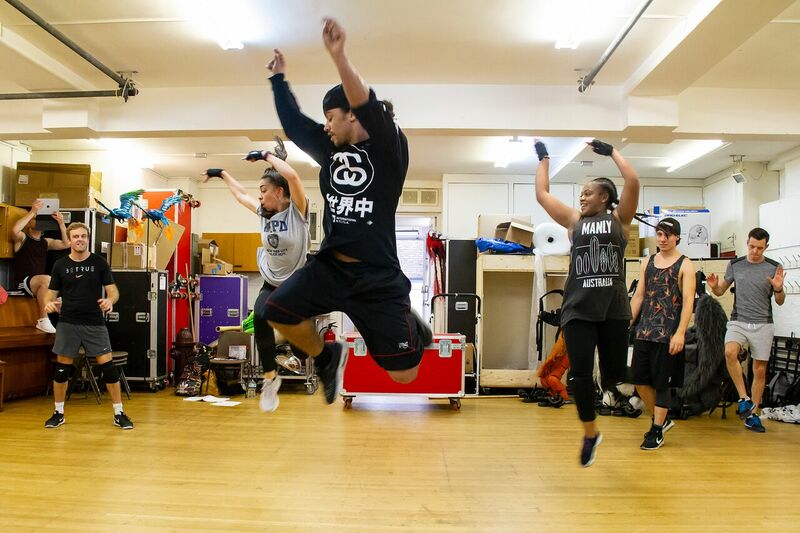 ), their hardest parts of the rehearsal process (most said dancing with puppets!) and finally what their young relatives thought of them being in Madagascar! There was also a brief chat about how the puppets themselves work, with a very realistic (although not to scale!) lemur as a visual aid! The cast then performed the Madagascar classic 'Move It' which of course everybody recognised, but what really astounded me was the puppets! They really brought it to life, and definitely added a fun layer to the whole piece. I was shocked at how close the puppets look to the original Dreamworks animation - they were instantly recognisable, so for a young audience that's a great way to really show what story is being told before they've even said anything! Overall Madagascar the Musical looks set to be a fantastic show so get yourself down to Wimbledon (or your closest tour location) to see it this summer! Thank you to Sammi at TheatreBloggers for arranging this.